Car Transport to and from Michigan. Michigan, also known as the mitten hand in the United States, is a state that has proven great economic power and majestic sites and views that have attracted millions, not only to invest in its growing economy but to indulge in its amazing tourism. As known to the world, Detroit, the state’s capital, is considered the world’s car capital as the major car industry occurs in this city. However Michigan is not only famous for making more cars than the recorded population. Michigan is home to some of the biggest construction plants in the world. It has the biggest cement plant in the world, located in Alpena and the biggest limestone quarry located in Rogers City. The state is also big in dairy herds as it houses the world’s largest Holstein dairy herd. Michigan’s production industry is also first in the United States producing peat and magnesium compounds, gypsum and iron ore. Colon, a small city in the south of Michigan has the world’s biggest magic supply manufacturer. Part of the states powerful car industry, built the first car with incorporated a/c in 1939. Michigan was home to wolverines, and although they’re no longer there, the state is still known as “Wolverine State”. The state also houses Wayne County, the oldest county, incorporated in 1815. Sault Ste Marie, founded in 1668, is the third oldest remaining settlement in the country. The first established university in the country was the Cathelepistemian, better known as the University of Michigan in the city of Detroit; it was then moved to Ann Arbor in 1841. The university has the biggest student campus in the state and is among the biggest in the entire country. Michigan is not only a manufacturer state, it also holds one of the breathtaking sites and landmarks, such as the state Capitol dome built in Lansing in 1879. The state also has the longest suspended bridge in the world, the Mackinac Bridge, which connects the upper and lower peninsulas of Michigan. The bridge is 5 miles long and it stretches over the Straits of Mackinac, which is where Lake Michigan and Lake Huron meet. On the western shore of the state are the Sleeping Bear Dunes which rise 460 feet above Lake Michigan, also here you can find the state’s wildflower, the Dwarf Lake Iris. The state is also home to the famous Kellogg’s brand cereal. The Kellogg brothers accidentally discovered the process to make flaked cereal and have mounted their multimillion dollar industry ever since. The famous and delicious ginger ale was created in Detroit by James Vernor, after he created the country’s first soda pop and left to serve the country for 4 years, the drink was stored during this time and when reopened had a gingery taste to it. Ginger Ale has been produced in mass quantity ever since. Thanks to the Detroit Zoo we can know appreciate animals out of a cage when we go to zoos and see them function in their habitats, as they were the first zoo to ever expose cageless animals. Because of these and so many other things, Michigan has become a hot spot for the car transport industry, especially for the powerful car industry located in the state. 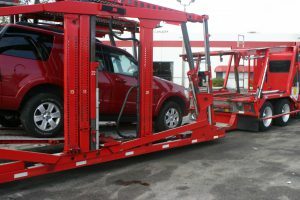 Car transport services are one of the most used services in order to transport the industry’s production to all points in the country and worldwide. Thanks to the location of where the state is, surrounded by water, the car transport service can also be approached by water. Unfortunately thanks to its location, it is greatly affected by winter season and transportation during this time is hard to reach; this is one of the biggest disadvantages the state faces for the service. 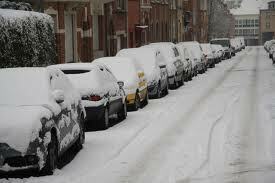 Winter is not only a monster that affects the car transport industry but almost every industry out there. Snow keeps fields from growing, roads closed, and produces more mechanical issues with equipment. For the car transport in particular, it affects greatly as production still keeps going, however transportation is delayed and sometimes not possible at all. Usually weekly trips can be delayed to 2 weeks, sometimes 3 until drivers make it back. Although car production is one of the main reasons why the car transport industry is in high demand in Michigan, it is not the only one. Just like in other northern states, Michigan contributes greatly to the snowbird season as many people are looking to relocate for the winter. Commercial purposes are no longer the only ones in need of transportation, but also for private owners that relocate for 6 month periods to warmer states such as Florida. Car transport via water also gets affected as harsh winters freeze the water and transportation through them is hard and slow. As you can see, Michigan is a state that offers many opportunities for industries and tourism and many people are looking to either come in or out to be part of those opportunities. There are some cities in Michigan where the car industry is in great demand from and to any other point in the country. As you may know, Detroit is the car capital of the world; the city has an immense and leading industry for cars that cannot compare to any other. There are more cars produced than population of the whole state. Major car houses like Ford, General Motors and Chrysler, or better known as the Detroit Three, are three major car companies located in or near the city. Year after year these car houses produce cars to be distributed not only within the United States, but all over the world. Car Transport is in great demand by these companies yearlong to transport their production to every point in the country. Ann Arbor is home to the University of Michigan since 1839, the university is one of the most prestigious and biggest ones in the country. There are thousands of students that move into Ann Arbor on a yearly basis and car transport is in the highest demand by them. The service has assisted students to transfer their vehicles to attend school and once they’re done. General Motors main headquarters are also located in the city making demand for transportation even higher. The city also has the advantage that 3 major highways pass through it, I-94, US-23, and M-14 making this a major passing point for drivers. Grand Rapids initially served the Austin Automobile Company until 1921, already bringing car transport traffic into the city. Also the city is in close proximity to Lake Michigan, making transportation on water an option and making it easier for people shipping on water to other locations. Besides the major economic growth that the city offers, it is great for tourism and lures thousands of people yearlong. This has caused car transportation to be in high demand to the city. Flint is best known as the birth place for General Motors, the company later established main points in different cities; however it was here where it all started. One of the major advantages of the city which has helped lure in the car transport industry is that it has 5 of the country’s main routes: I-69, I-75, I-475, M-21, and M-54. 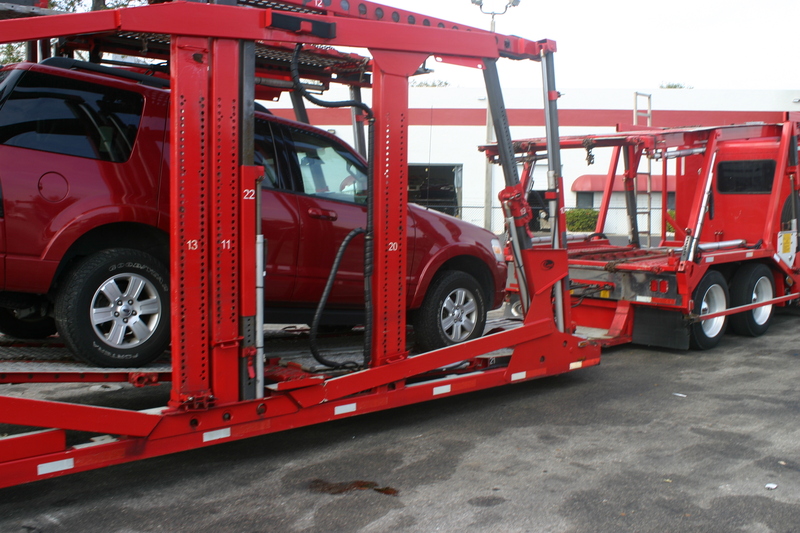 Now you know about Car Transport to and from Michigan! Read also about Car Transport during Snowbird Season and How to Ship a Classic Car?